1. 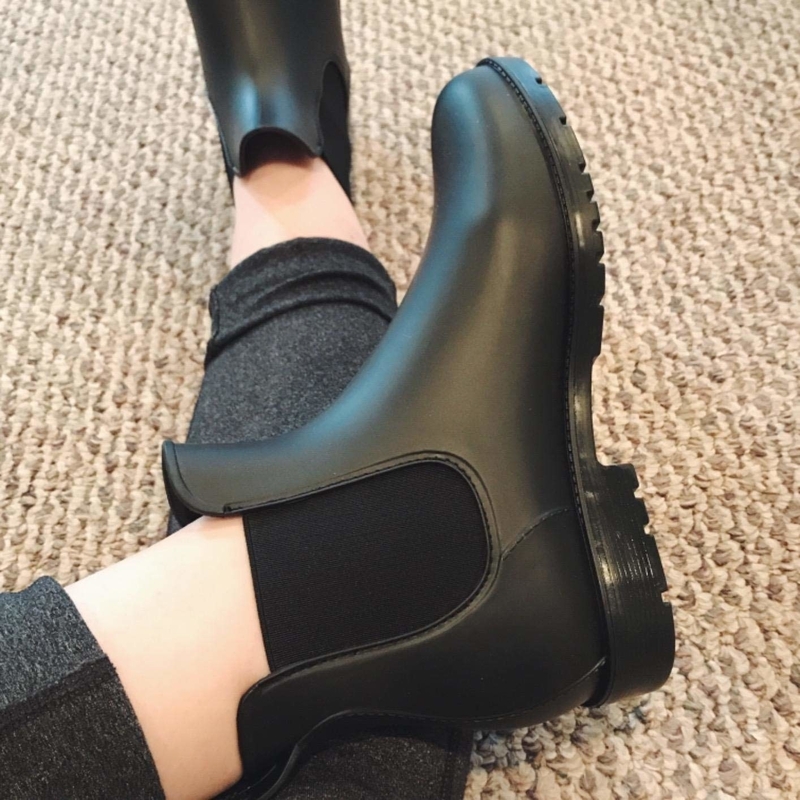 Chic waterproof Chelsea boots that'll keep your feet dry and fashionable while you wait out the spring rains. 2. Perforated booties you can pair with dresses, jeans, skirts, and more — these babies are super versatile and super comfortable. 3. Stacked boots with a heel so tall you'll feel Powerful-with-a-capital-P, but so sturdy that you won't worry about losing your balance. 4. 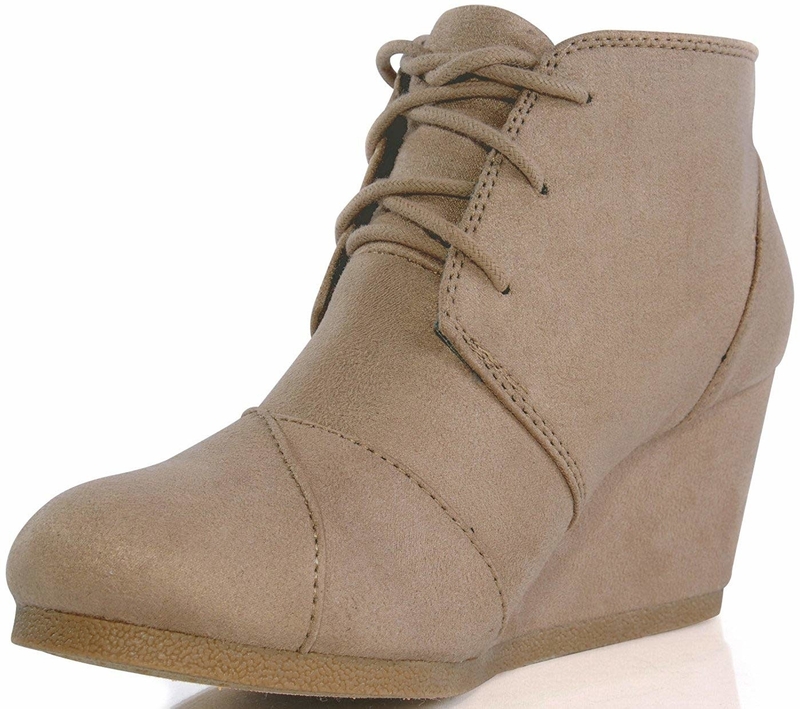 Classic suede boots that are absolutely guaranteed to go with anything in your closet. 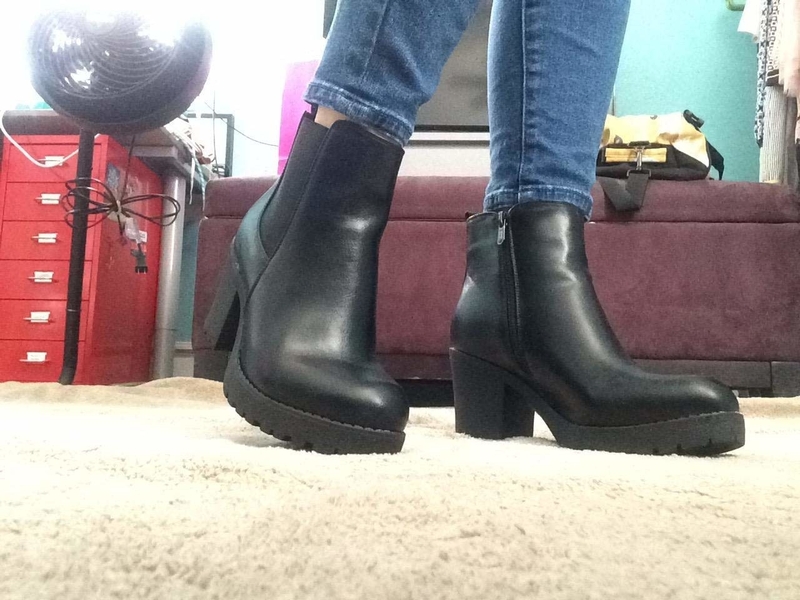 I'll give you one dollar if you can show me an outfit that wouldn't go well with these boots*. *Disclaimer: I will not give you one dollar. But these boots do go with everything. 5. Wedge heels so easy to balance in that even those who consider themselves "heel challenged" will be able to walk in them with ease. 6. 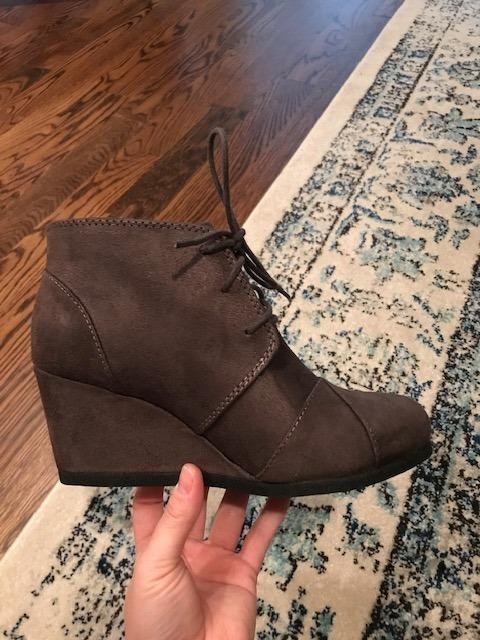 Buckle strap booties you'll love if you're on your feet all day, because Amazon reviewers rave about how comfy and supportive these puppies are. 7. Suede Jeffrey Campbell booties featuring metal detailing that adds a little bit of punk edge to a classic style. 8. Clarks boots that are the perfect bridge to real grown up shoes, since they're a step up from sneakers without being overly formal. 10. Lace-up Hush Puppies that are cute AF and have intense support, so walking miles in them will be a total breeze. Price: $19.98+ (available in sizes 5-12, regular and wide widths, and 29 colors). 11. 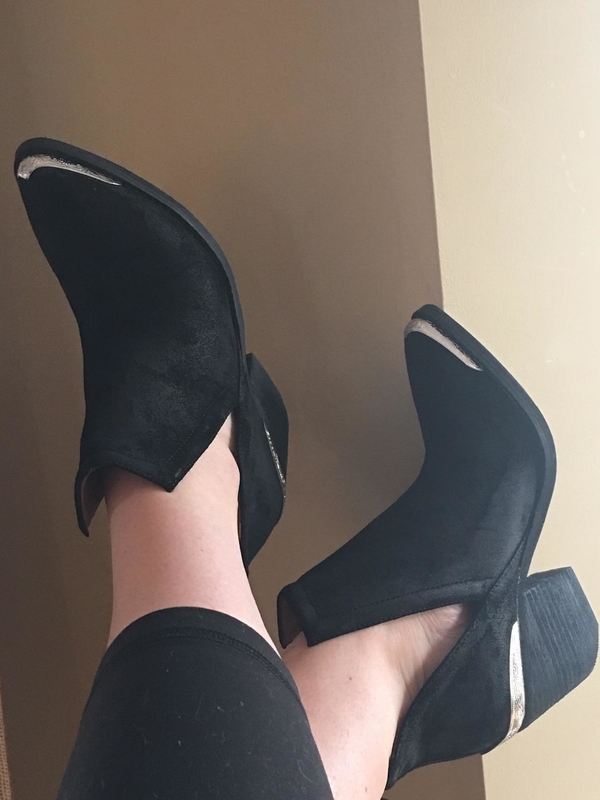 Side-laced booties with heels that reviewers swear are super quiet, so you'll love these if you want some height but don't want the entire office to hear you coming from miles away. 12. Cutout booties that are just begging to be paired with a sundress for the cutest springtime outfit imaginable. 13. 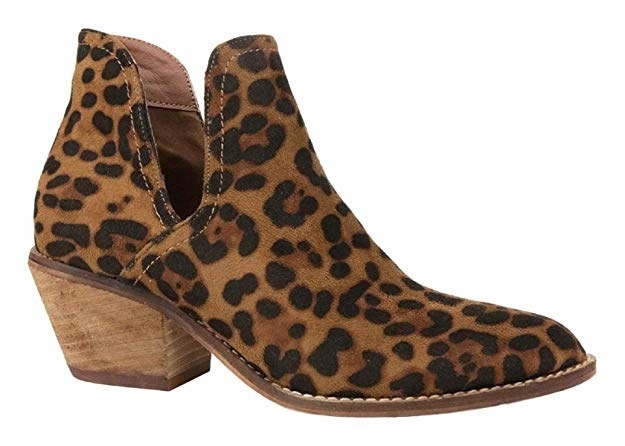 Patterned Sam Edelman booties so gorgeous, you'll want to wear them with basically everything you own. 14. Genuine leather Rockport boots you'll want to wear for seasons to come — and the quality is so good that they're sure to last that long. 15. 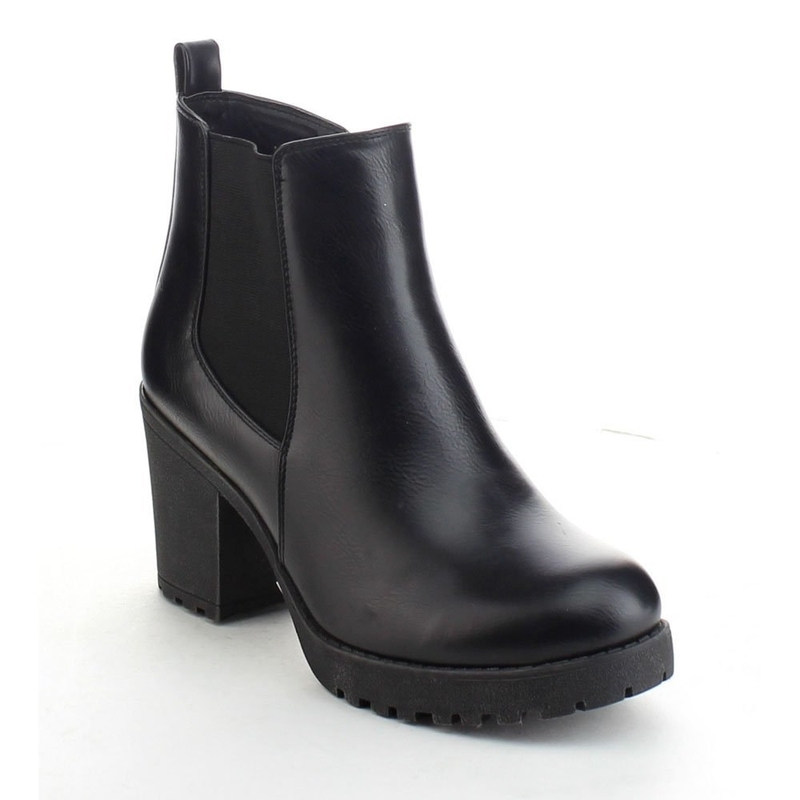 Low-cut slouchy boots that are truly made for wide feet. There will be absolutely no squeezing or pinching here! P.S. If you're still searching for shoes that'll fit wide feet, check out our full rundown of wide shoes people swear by. 16. 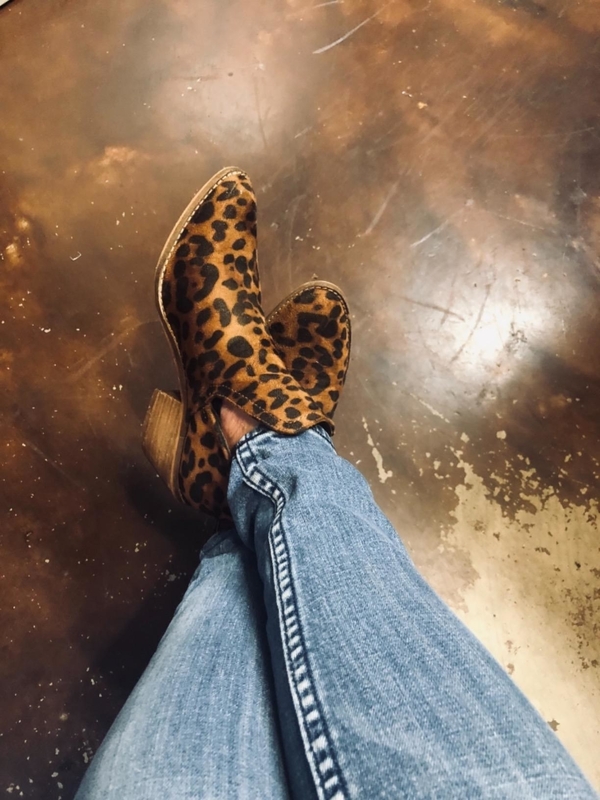 Leopard print boots because we all know that leopard is a neutral. These babies will go with absolutely everything in your closet. Reviewers recommend ordering these a half size larger than your usual size. 17. Cowboy-style boots that'll work everywhere from the ranch to city streets. Plus, the pull-up tabs mean you'll be able to slide them on and off with ease. 18. 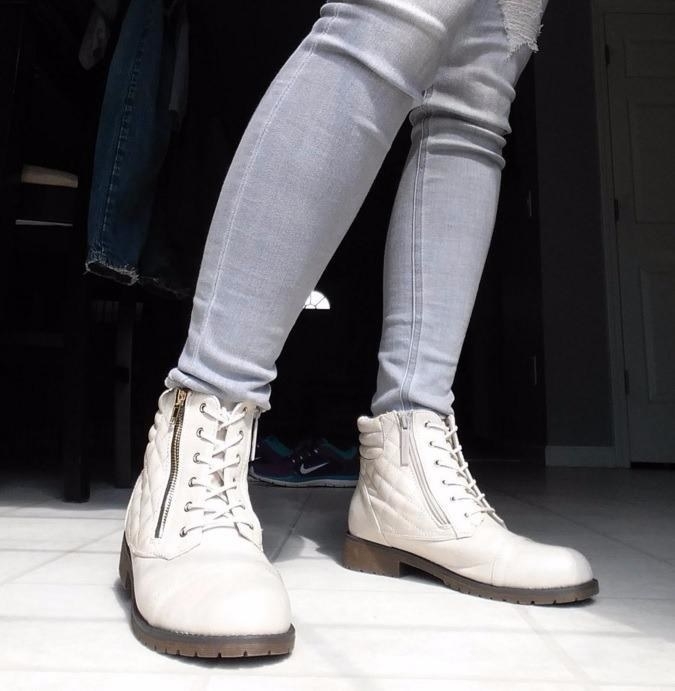 Combat boots with a hidden pocket so you can go on adventures without having to worry about carrying around a wallet or a purse. 19. Fringed Minnetonka moccasins that are soft, durable, and will totally mold to your feet for ultimate comfort and the perfect fit. 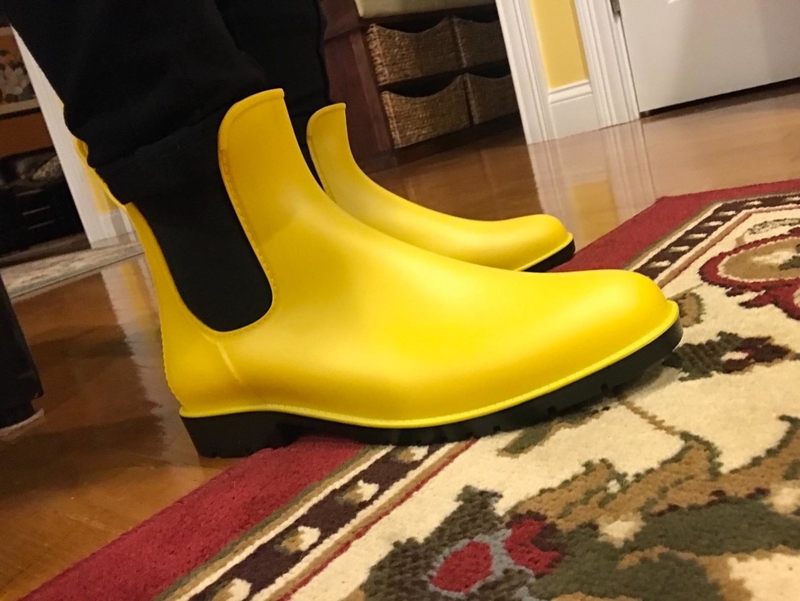 These are available with a rubberized sole, like in the photo above, or with a fully suede sole — if you go with that option, you'll want to walk around on softer surfaces like grass and dirt at first to build up some "seasoning" that will protect your feet on concrete and other hard surfaces. 20. TOMS Chelsea boots available in a ton of playful color and texture combinations, but the standard style still makes them easy to pull off with just about anything. 21. Glittery booties because you should always find ways to add a little ~sparkle~ to your daily routine. 22. Studded boots that are the epitome of cool. You genuinely can't get any cooler than these boots. Seriously. I've checked. Want more? Check out the best places to buy shoes online or the best shoes for wide feet if you need a little extra room.